The Advox Netizen Report offers an international snapshot of challenges, victories, and emerging trends in technology and human rights around the world. This report covers news and events from February 22-28. Two prominent digital activists in Egypt are expected to be released from prison in the coming weeks. Both Mahmoud Abu Zeid, a photographer, and Alaa Abd El Fattah, a blogger and political activist, have spent most of the past five years behind bars. Their families and supporters are determined to see them freed on time. But there is growing concern that state security may delay their release. In early February, the families of 18 political prisoners, including Abd El Fattah, were barred from visiting their jailed loved ones. While his prison term is set to end on March 17, 2019, Abd El Fattah will then be under close police surveillance and made to spend every night in his local police station for the next five years. 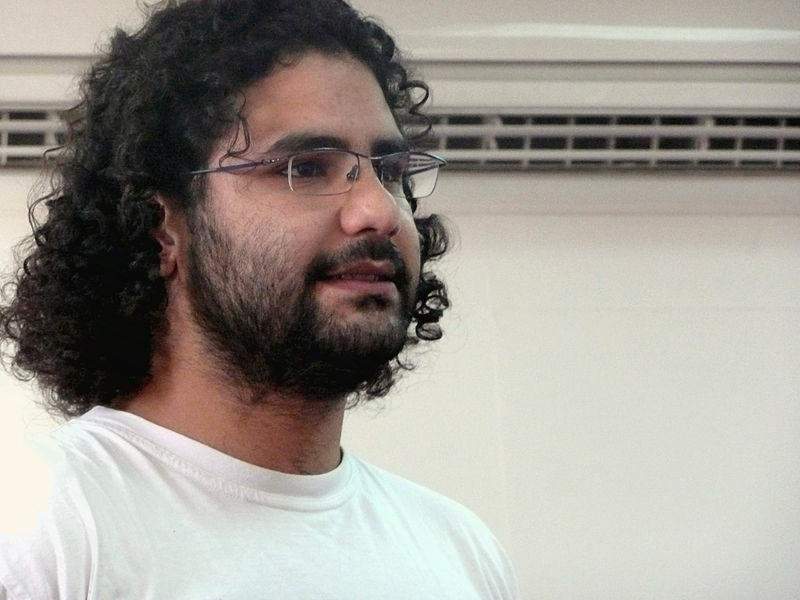 Alaa Abd El Fattah was a leading voice in the 2011 protests that helped to overthrow former president Hosni Mubarak, and has been jailed or investigated under every Egyptian head of state who has served during his lifetime. He was given a five-year prison sentence for violating Egypt’s protest law, which prohibits public demonstrations without prior authorization by police. Public prosecutors also brought a separate case against Abd El Fattah for allegedly “insulting” the judiciary in a tweet, where he criticized Egypt’s justice system for its lack of independence. In 2016, the UN Working Group on Arbitrary Detention concluded that Abd El Fattah’s detention was “arbitrary” and that he had been denied guarantees of due process and a fair trial. Since December 2018, his family has run an active online campaign, “100 days for Alaa”, advocating for his timely release. Mahmoud Abou Zaid, aka Shawkan. Photo shared on Twitter by @Ciluna27. Mahmoud Abu Zeid, known online as Shawkan, was unlawfully detained and tried for photographing the 2013 bloody dispersal of the Rabaa El Adaweya sit-in, while he was employed by Demotix. Supporters of former Egyptian president Mohamed Morsi had gathered to protest a military coup that ended Morsi’s presidency soon thereafter. Human Rights Watch reported at the time that Egyptian security forces killed at least 817 people in the incident, and injured many more. 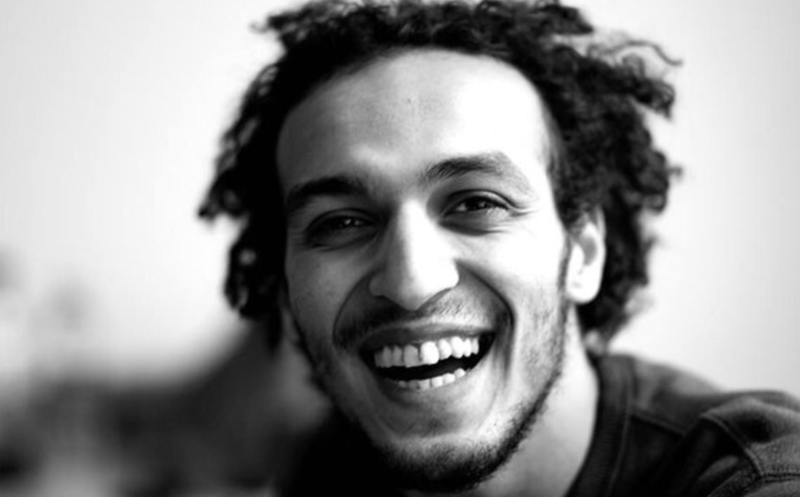 From then on, Shawkan spent nearly four years in pre-trial detention, in violation of Egyptian law which sets the limits between six months and two years, depending on the seriousness of the crime. On September 8, 2018, he was convicted on spurious charges of murder and affiliation with the Muslim Brotherhood, now designated a terrorist group by the Egyptian government. He was sentenced to five years in prison, despite the fact that he had already served as much time. Although he was set to be released in mid-February 2019, he remains behind bars as of this writing. On February 27, the International Press Institute called on Egyptian authorities to release him immediately. Since mid-February, Algerians have been overriding protest laws and demonstrating in the streets, demanding that Algerian President Abdelaziz Bouteflika withdraw from upcoming national elections. On February 21 and 22, the independent technical research group NetBlocks reported that multiple internet provider networks were intermittently shut down, likely as a result of demonstrations. Bouteflika has been president since 1999 and is seeking a fifth term in office, despite his poor health. The 81-year-old suffered a stroke in 2013 and has been confined to a wheelchair and has made few public appearances since then. Protesters have emphasized the country’s weak and increasingly unstable economy — 29% of people under 30 are unemployed. On February 27, Venezuelan technical research group VE Sin Filtro reported that both Twitter and SoundCloud were blocked for all subscribers to the country’s largest internet provider, state-owned CANTV. Since mid-January, when opposition politician Juan Guaidó declared himself acting president of the Republic, in an open challenge to sitting President Nicolas Maduro, public protests and confrontations between the Maduro-aligned military and opposition leaders backed by the US have triggered numerous internet outages and blocks on websites including Wikipedia, Instagram and multiple services belonging to Google, including YouTube. Australia-based blogger Malele Paulo was arrested in Samoa on February 8, while he was visiting the country to attend his mother’s funeral. Malele is a known critic of the government who writes under the pen name King Faipopo. Samoan Prime Minister Tuilaepa Sailele Malielegaoi filed a defamation complaint against Malele, concerning a post in which the blogger alleged that the prime minister had engaged in corruption and theft. He has been charged under Samoa’s criminal libel law with “making false statements with the intention of causing harm to a member of our Samoan communities’ reputation.” He is scheduled to appear in court on March 5. With this change, Russian authorities could issue advanced warning to individuals or media outlets whose writing they deem false or offensive. If they heed authorities’ warnings to delete offending content, individuals can avoid penalties on first violation — and media outlets can avoid having their websites blocked. It is worth noting however that such warnings will not be extended to media outlets that do not have a government-issued license. A draft law before Nepal’s parliament would give authorities broad powers to order the removal of social media content, penalize users for “improper” posts, and block entire online platforms if they are not registered in the country. It would also require foreign tech companies with a large presence in the country, like Facebook and Google, to establish in-country offices and to pay a special tax on the earnings they accrue from Nepali users. The bill would replace the existing Electronic Transaction Act, which the government has invoked in 106 cases over the past three years, in prosecutions for online content. Free expression advocates warn the new legislation could open the door to even more arbitrary prosecution, as the bill does not require authorities to seek court approval before they order internet service providers (ISPs) to block websites. ISPs that do not comply with these orders will face fines. The Indonesian fact-checking website Cekfakta.com was reportedly attacked and infiltrated on February 19, just two days after the national broadcast of the second presidential debate. Attackers changed the site's DNS configuration and redirected users to a ghost video on YouTube. Cekfakta.com is a collaborative project among 24 media outlets in Indonesia, aimed at countering fake news and disinformation. The Legal Aid Institute for Press condemned the attack, and called on law enforcement to immediately investigate the incident. The site has since been restored. Afef Abrougui, Ellery Roberts Biddle, Marianne Diaz, L. Finch, Juliana Harsianti, Leila Nachawati, Mong Palatino and Elizabeth Rivera contributed to this report.